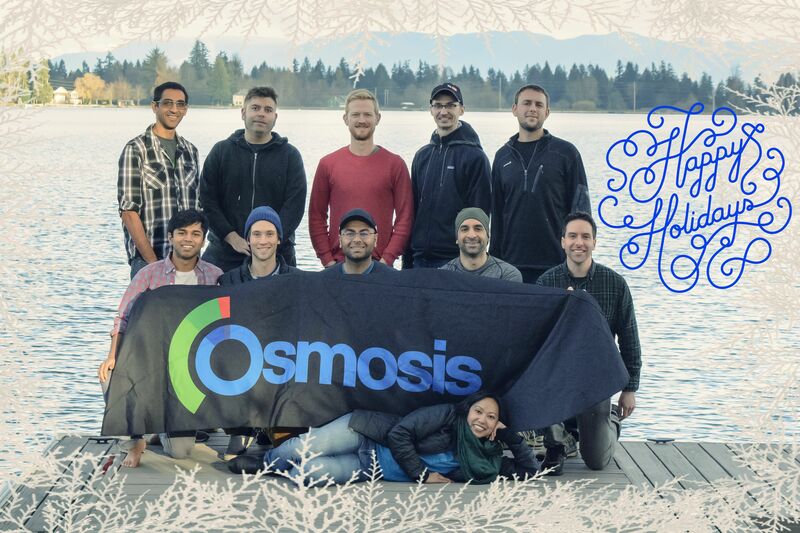 Osmosis Wishes You a Happy 2017! We hope that 2016 wrapped up smoothly for you and that you are looking forward to 2017. As is our tradition, we want to take an opportunity to wish you a happy new year as well as share some of the highlights of 2016 and what we are excited about in 2017. One of our most popular initiatives in 2016 has been our production of incredibly high quality & concise explanatory videos on topics such as autism, & Sound Cloud (as podcasts). In January of 2016 we had just around 2,000 YouTube subscribers who watched our channel videos around 1,000 times per month. We closed the year with more than 86,000 YouTube subscribers (43x growth) who watch our videos more than 1 million times per month (1000x growth!). Counting the views on other channels and we’re nearly at 2 million views per month. Perhaps most exciting is that these videos are being viewed by people beyond Osmosis’ primary audience of medical students. These include practicing clinicians, residents, allied health professions students (nursing, pharmacy, PA, dentistry, etc. ), and even patients & their family members. They’ve been viewed in 217 countries and translated into more than 10 languages, thus broadening our reach and impact. Below are just a few comments we’ve received from these individuals. We more than doubled our user base at www.osmosis.org, and also reached higher levels of engagement across all metrics: questions answered, items created, documents uploaded, notes taken, etc. Our incredible product team simplified the platform and added some highly requested features such as document annotations & a board exam study scheduling tool that helps students organize their dedicated test prep. Osmosis is clearly the most advanced learning platform for medical students, and the once-novel idea of automated analysis of curricular documents to make intelligent content recommendations has now reached the mainstream with Osmosis leading the way. We now have a database of over 120,000 curricular documents, 25,000 Osmosis flashcards & questions, 1.3 million user-generated flashcards & questions, and thousands of concept cards with patient experience & explanatory videos. And we feel like we’re just getting started! As you may know, one reason we named ourselves “Osmosis” is because we value diffusion of knowledge and resources. To this end we’ve forged many collaborations & partnerships in our short history, many of which have come this past year. For example, we’ve produced videos in collaboration with groups such as ABMS, Kaiser Permanente, Rush Medical College, Merck Manual, and others who will be recognized in 2017. Furthermore, we’ve built upon the grants we received from the Robert Wood Johnson Foundation (Pioneer Grant) and National Board of Medical Examiners (Stemmler Grant with UIC and UCF), and will be announcing another major grantor & collaborator in early 2017. We look forward to strengthening existing collaborations as well as forming more partnerships in the new year. Osmosis has published five peer-reviewed papers in the past three years in journals such as Annals of Internal Medicine and Innovations in Global Health Professions Education. We added a few more submissions and one AMEE MedEdPublish paper to that list this year, led by our main research advisor, Dr. Sean Tackett, at Johns Hopkins. In addition we presented at a number of major education conferences this year including AAMC in Seattle, AACOM in DC, Medbiqutious in Baltimore, AMEE in Barcelona, and Reimagine Education & the Penn GSE/Milken Competition (both in Philadelphia, and both of which Osmosis won in 2015 and 2014, respectively). These have been excellent venues to share our work and ideas for how to improve medical & health education and align it with what ultimately matters most: patient outcomes. Another way we have contributed to evidence-based education is by releasing five videos on the science of teaching & learning: spaced repetition, . We want to help students (and faculty) better understand the cognitive science underlying education so they not only focus on what to learn, but how to learn? We collaborated with leading cognitive scientists and educators to produce these videos, including Henry Roediger at WashU (co-author of Make it Stick: The Science of Successful Learning), Robert Bjork at UCLA (who coined the term “desirable difficulties”), David Swanson of the ABMS (who co-authored the Item Writing Manual published by the NBME), and Michael Horn of the Clayton Christensen Institute (who co-authored Blended and Disrupting Class). Collectively these videos have been viewed more than 50,000 times and, we hope, contribute to making future clinicians more effective & lifelong learners. The Osmosis content team published its first ebook, on cardiovascular pathophysiology! Based on popular demand, we took the detailed scripts and illustrations that we created for our 40+ cardiology videos and adapted them into a 370-page ebook with more than 480 images. This ebook was provided to our Osmosis Prime members and has already been very positively reviewed, with requests pouring in for analogous ebooks for other fields. We also celebrated the growth of the Osmosis family by welcoming Skyler Desai (son of our Chief Medical Officer, Dr. Rishi Desai) and Sanay Augustus Tackett (son of our research advisor, Dr. Sean Tackett). They are together our Chief Cuteness Officers (here’s a photo of Skyler already representing Osmosis at the daycare). More fun videos that enable you to meet the team and shape the evolution of Osmosis. We are deeply thankful for your support of Osmosis. Happy new year!